3 dogs allowed, however the garden of La Gallina is not enclosed. 2 parking spaces on the driveway next to the property. Please note that La Gallina has a steep open staircase to the bedroom. Due to the steep staircase, this property is not suitable for children. A starter pack on logs are provided, however guests are advised to bring additional logs if they are planning more than one fire. This property does not accept hens, stags, or weddings. Lovely feedback! Thank you very much for your comments of La Gallina, we hope to see you again in the future! 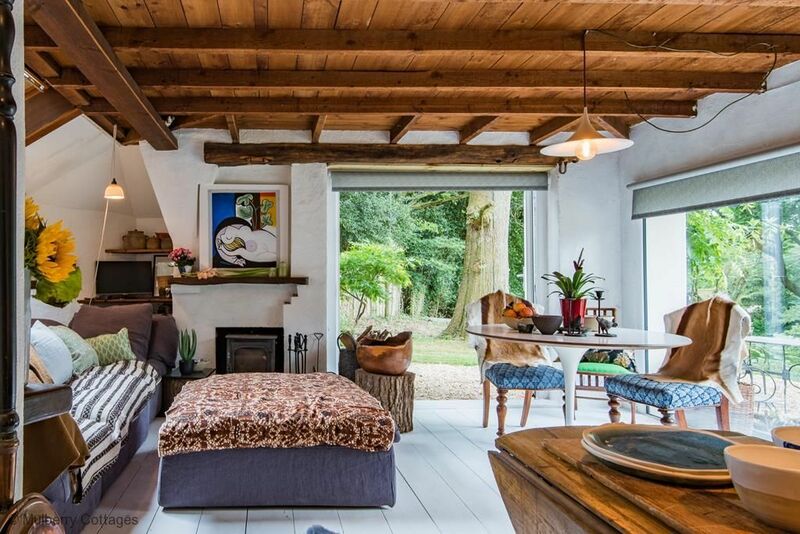 Away from it all in the woods, a wonderfully designed, cosy retreat, in an idyllic setting. Extremely friendly and helpful owner. Thank you very much for this lovely review of La Gallina, we are very pleased that you enjoyed your stay and hope to see you again in the future!